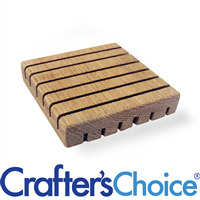 Use this beautiful, premium white oak soap dish to showcase your handmade soap! White oak has a closed cellular structure making it water, weather, and rot resistant. It is the ideal material for high quality soap dishes. Made in the U.S.A. Dimensions: 3.5” x 3.5”. 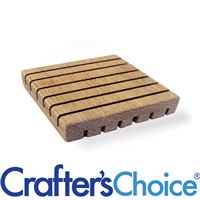 Expert Crafted Soap Dishes are the perfect way to showcase your handcrafted soap! Made from real white oak that has a closed cellular structure making it water, weather, and rot resistant. It is the ideal material for high quality soap dishes. Made in the U.S.A. Dimensions: 3.5” x 3.0”.